Top 10 Best Music Production Softwares - S.A's Favourite Online Music Equipment Store Ama Music | Studio Gear, DJ Equipment, Musical Instruments, Pa Equipment and Lighting Online Music Store. So you’ve got the gear…but do you have the software to lay it all down with? You can’t paint without a canvas. 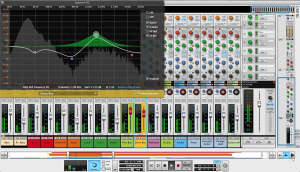 Perhaps you’re looking to switch to a more popular, supported digital audio workstation? Some say it’s all about the musician and that the recording software doesn’t matter…we agree, but to a certain extent. Give somebody like DJ Premier or Danger Mouse a vintage Boss drum machine and they can probably still make a hit. However, in our opinion you need the proper software to give you the full capabilities of the song you’ve worked so hard on building inside of your head — something to really transfer those ideas into a reality. You also need to optimize your workflow, simplifying the process of making music so you don’t even have to think anymore — you can just create. Picking the best DAW can be dependent on a few factors. 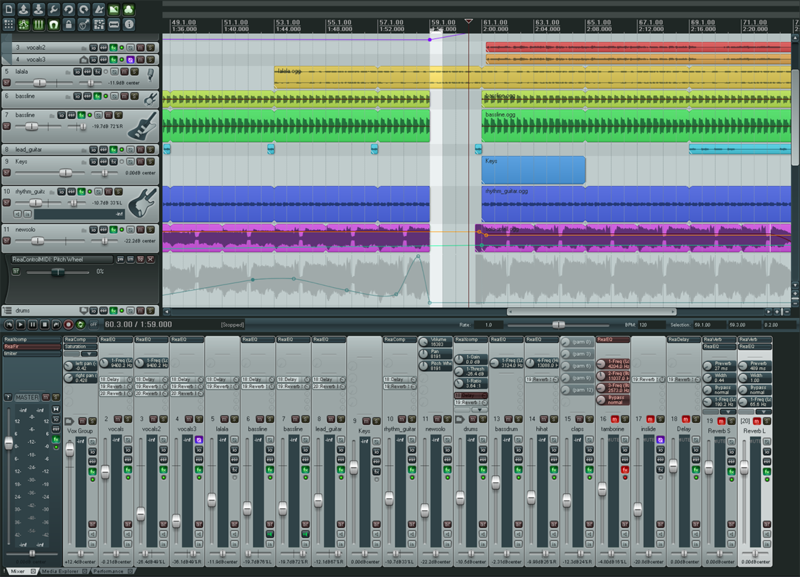 Let’s review the top 10 best digital audio workstations out today. To us, choosing your DAW is like picking which soda to drink. Either way you go, it won’t necessarily be wrong. However, taking into consideration your personal needs is crucial. Here are some important aspects to keep in mind during your search. Your budget. We always list this first in our music equipment guides as its a pretty big given, but it’s always something to think about. This is an investment, typically a 4-5 year and beyond one (like buying a car), so you’re going to want to get it right. If it takes saving up a few more hundred dollars, it’s worth it to wait. You want to think long-term, but before you do drop that money most of these companies offer free trials (which we’ll provide). Think about the future, too. If you are a beginner, take the previous bullet into consideration, but keep the future in mind as well. Starting with a beginner software is great for starters, but it may get boring after your first year or two and you need to keep in mind that you’ll eventually be good enough to use more functions of the software. For children, starting at a beginner-level is most recommended, but if the DAW you chose at first has a low ceiling, you’ll eventually have to make a switch and learn an entirely new software (it’s what I did with Acid Pro…I had to eventually move on to Ableton which took me some time to learn). We’d go with something in the middle – a software that will take some time to learn, but will ultimately offer some valuable advanced features down the road when you’re ready. Although in the end, even the “beginner” programs could last you quite a long time (well-known musicians still use Fruity Loops, a common beginner software). Do you perform live? A few of the software we list are more optimal for performing live, such as giving us some easy integration with MIDI controllers, VST instruments and other live performance-specific features. There are some more live-tailored features, such as saving presets, matching the interface with what you’ve got in front of you, etc. Some are just more geared to live performances, while others being for when you’re deep inside of the studio well-past midnight. Stick with what you’ve chosen. The more familiar you become with software you’ve chosen, the quicker and easier you workflow is, the more confident you become, and ultimately, the better your music sounds. Think you’ve learned a DAW to its fullest? Learn it again. The more you know about your software the easier it is to get those thousands of ideas circulating in your brain during your production onto the piece of paper. It’s an investment, but once it’s as smooth as butter, pumping out that music becomes even more beautiful as times goes on (it almost becomes second nature, such as driving a car). Relax. It’s 2016 — the digital age is here, and most of the production software out there is up-to-date and very popular. Either way you go with the 10 we’ve listed, you’re getting lifetime support, huge communities with message boards, and YouTube tutorials on any of the software you choose. You can’t really go wrong with one or the other, even if you’re a beginner. So don’t panic. 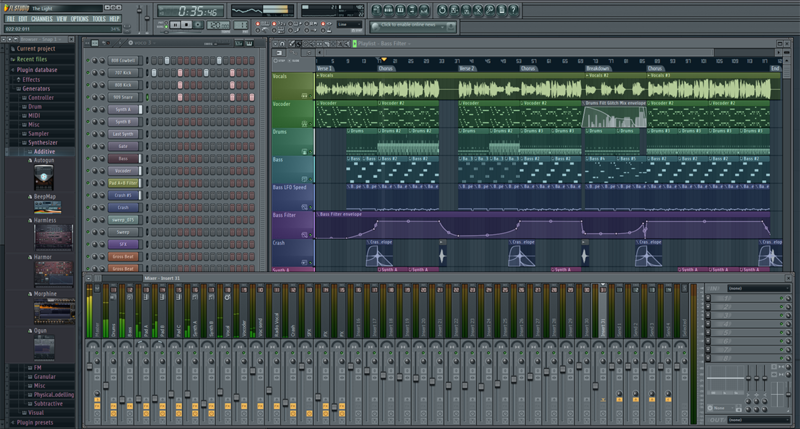 Below is our list for top 10 best DAWs out there. Take into consideration the level you’re currently at, where you plan on being for the future as well as the overall capabilities you’re looking for. Visit their website or the purchase link we provide for more information. We also tried to throw in the free trials and a few video overviews. We hope this guide has helped continue your music creation journey! 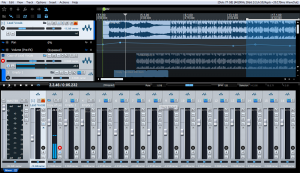 If you’re looking for some smart device DAWs instead, check out our best music making apps article. 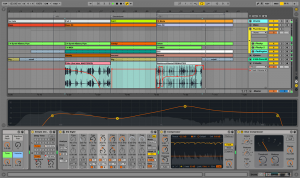 Since it’s introduction in 1999, Ableton Live has been a very popular DAW and for good reason. You’ve got the standard multi-track recording (an unlimited number of audio/MIDI tracks for songs) and cut/paste/splice features, but what’s especially great about this software is the seamless MIDI sequencing software and hardware. We’ve had so many fusses with our MIDI controllers getting mapped to our sounds through the DAW (back when we used Acid Pro in 2005-2010), but ever since the switch to Ableton it’s been extremely headache-free. Another huge plus is the included sound packages included. Although this really depends on your preferences and whether or not you have your gear and sounds up to speed, it comes with 23 sound libraries (about 50 GB of sounds), so you can make music out-of-the-box. To finish off our description for the beloved Ableton, this thing is the absolute best music software for performing live. We’ve experienced very few glitches (the biggest fear of performers…it can make or break a set). What’s even better is that Ableton has paired up with some brands to create gear specifically for the program, often matching interfaces with the software for easier pairing and remembering of sounds. Read our best MIDI controller for Ableton to see what we’re talking about. 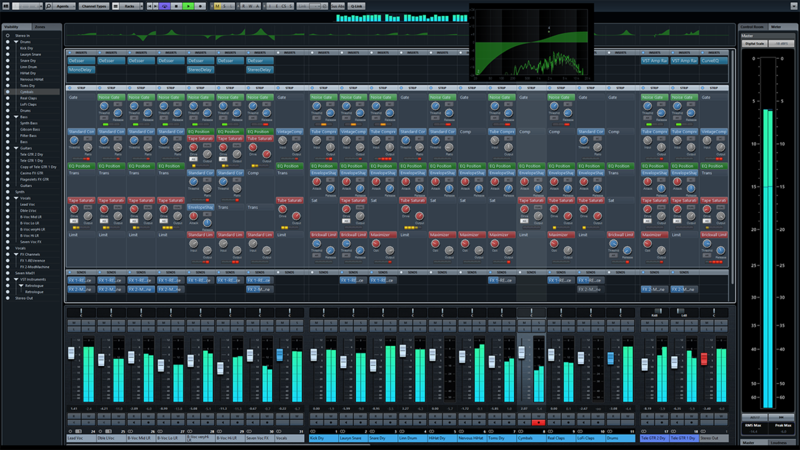 This is one of the best DAWs for those looking to start out and get their feet wet in the music making world. 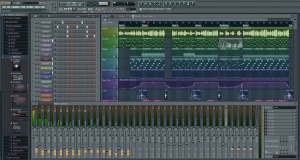 Fruity Loops by Image-Line has been out and about for quite some time, being one of the most popular software to date. It’s got your standard protocol with pitch shifting, correction, time-stretch, cut, paste and the works, but it’s interface is especially well-suited for the beginner. It’ll take a little bit of reading to start going, but once you’ve got the hang of it you’re good to go. There are plenty of YouTube videos out there dating back to 2005 giving tutorials for pretty much any feature you need explained. Their latest version includes over 30 synth software for out-the-box usage, so if you’ve just purchased a controller and want some sounds to start fiddling with you don’t have to spend much money. You can use MIDI keyboards, record into it with a microphone, do your standard editing and mixing — it just gives you what you need with a simple interface. There are some advanced features as well, so once you become familiar with it you can delve further into these. It’s very user-friendly, especially with adding some virtual instruments and playing them on MIDI. Works well with PC or Mac. The retail price is a lot lower than others out there, so it’s definitely budget-friendly. We’d recommend getting this if it’s for somebody younger as well. What made this program famous in our opinion and still does is the fact that 9th wonder still uses Fruity Loops today. 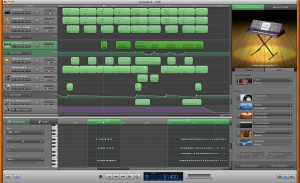 This is an amazing digital audio workstation, particularly for those with a Mac (not compatible with PC). 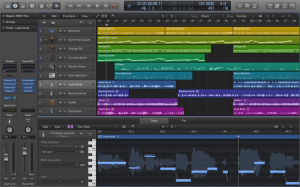 What stands out with Logic Pro is the interface — very advanced to help with the music making process by including track consolidation (track stack), instrument layering, an intuitive mixer for plug-in control, and a “score editor” to allow you to create your own MIDI (comes with nine MIDI plug-ins that help you transform the sounds, such as chaining multiple plug-ins together, scale velocity, etc) tracks with only a mouse (most programs have this). It has a “virtual drummer” feature which features an interactive drum set for visual implementation of drums for some fun playing and natural sounding kits. Also has an arpeggiator that’s better than a lot of software out there, it’s programmable too. 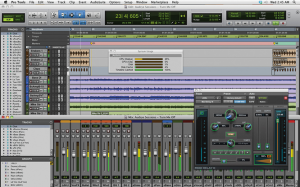 What’s there to really say about Pro Tools by Avid? Or how about, what isn’t there to say? If you’re looking for the industry standard, this is the software to get. Ask any professional producer or sound engineer and they’ll say that anything else in the DAW world is just a waste of time. However, a lot of them say this after becoming certified in the program — as we stated before, there are entire school programs dedicated to Pro Tools. 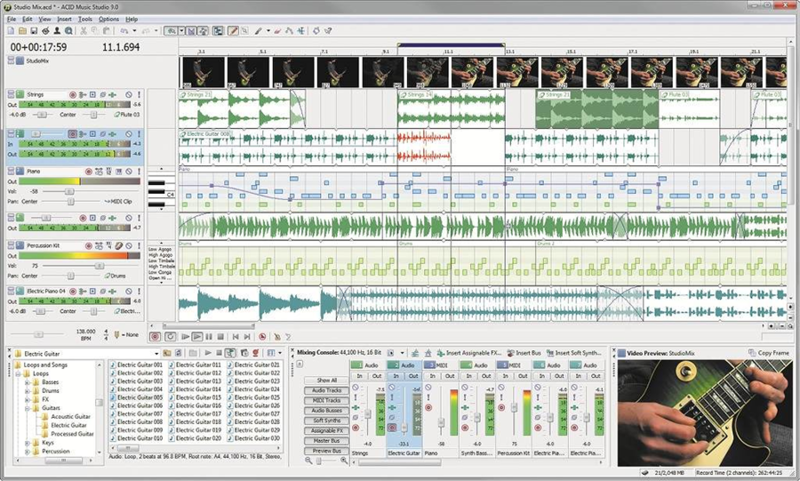 If we really wanted to describe this software to you it would take us 100 articles, but here’s a bit of a breakdown: It gives you the standard ability to compose, record, mix, edit, master, etc. What’s advanced is it has its own Avid Audio Engine which gives you a super fast processor, a 64-bit memory capacity for sessions (never lag, freeze, etc), its own latency input buffer to help with that annoying delay, and built-in metering. Change the tempo with time-stretch of any track, and there’s something called Elastic Pitch that’s a bit like autotune in the sense of ‘correcting’ harmonies. Also comes with 70 effects and plug-ins: reverb, compressors, EQ’s, channel stripping, the works — merely anything you can think of, Pro Tools has. I can’t even begin to list everything it can do. It’s compatible with both Mac and PC, although with Mac it works a bit better (was originally created strictly for this). Please note that we’ve heard a lot of reviews out there state that it’s very buggy on Windows, so use with caution. 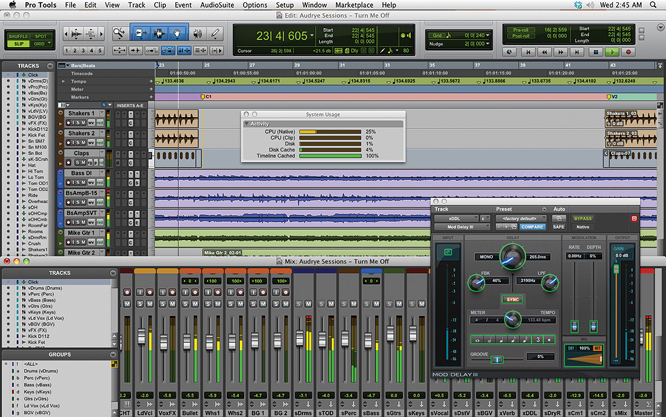 If you go big with Pro Tools, you’re set for life. Just know it takes hours, days, weeks or even months of learning it. But once you do, it’s not only the best music-making decision for you, but perhaps a future career prospect as well. 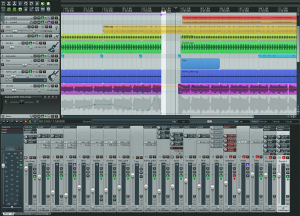 Reason has a very solid mixing console, better than a lot out there besides Pro Tools or Logic. This is also a great DAW for those recording guitar or bass since it includes amp and speaker plug-ins from Softube. These are nice for adding effects and presets to your riffs. Around the $400 retail range and works well with both PC and Mac. What’s pretty neat is the software’s ability to cut and splice audio files automatically…although I’m a bit tedious when it comes to this, it’s nice to get those files chopped before you start digging in. Pretty accurate most of the time but others I have to clean them up a bit…ultimately it doesn’t hurt. Lastly and just for some more FYI, it supports all MIDI hardware so you’re pretty good to go in terms of essential features within a workstation. Nothing too huge like Pro Tools in a sense of mastering or more advanced effects features, but for $400 retail Reason is really giving other DAWs a run for their money. 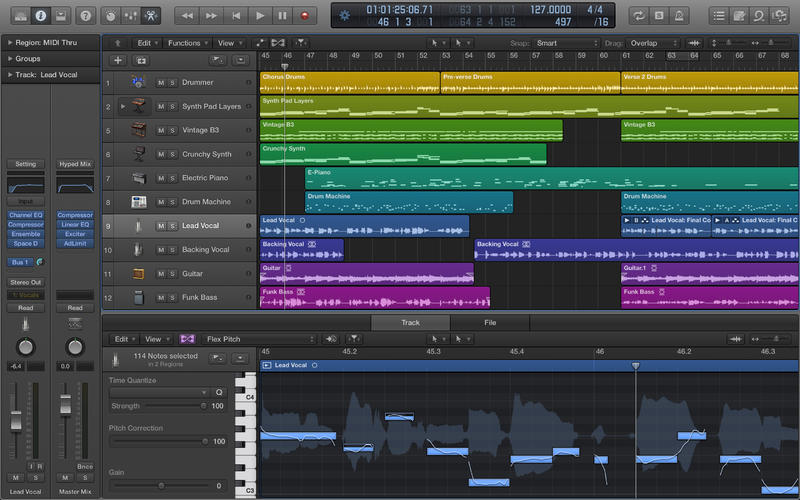 Garageband by Apple is an extremely popular DAW, especially among beginners. What’s first and foremost important to note is that it’s free! Extremely suitable for those in the starting stages of music, particularly younger ones or those who merely want to lay down some tracks and make some cool tunes. However, I have some friends who tour nation-wide that still use Garageband just because of its simplicity and ease of use for recording. We’d go with this over Fruity Loops in terms of starting from scratch as your first DAW (if you’re on a Mac that is). This thing will always be our baby. When I first started making music in 2001, I had an old version of Acid Pro when it was still made by Sonic Foundry. I got so accustomed to it I continued to use Acid Pro 4.0 until early 2010 when I finally made my switch to Ableton. There were pros and cons for sticking with the software for so long, one pro mainly being that I knew it like the back of my hand. If my friends were ever over making music and wanted something done, I could merely press a hot-key and had it complete, getting some oohs and aahs here and there. The downside was that it was a bit buggy when it came to MIDI incorporation and other more-advanced features that are available with DAWs nowadays. Their latest version is actually very stable and we recommend this for beginners until even semi-pro like we were for the past decade. Acid Pro by Sony just does what you want in an essential-based manner. There’s the recording ability, loop audio tracks, and MIDI support. It’s got a pretty solid sound series loops (3,000 sounds) and comes with about 90 VST’s to mess around with using your MIDI controller. The time-stretch works pretty well too, something I’ve used quite a lot if I need to slow down or speed up a sample or track I’ve recorded. It’s downloadable and very cheap, around $60 retail, so if you’re looking for a budget-friendly DAW this is it. Some just say that it’s a bit expensive and very hard to learn — but as stated previously, once you learn it, you’re good to go for a very long time. I’d recommend going with Pro Tools or even Logic Pro if you’re going to be spending a lot of time learning a software, you might as well make it one of the more popular ones. If you buy it from Amazon you already get the eLicenser. It’s around $400 retail. Update: Looks like they’ve just released Cubase 8! Watch the videos on the Steinberg website to see what’s new. Reaper by Cockos has lost a bit of popularity with the emergence of Ableton and Logic Pro, but it still holds strength as far as a dedicated DAW goes. You download the software and get it for 60 days and then have to pay to download a license to keep it going. We feel this is a great strategy for both the brand and user since it allows us to try it out for an adequate amount of time without having to drop some dough. Reaper is pretty unique when it comes to comparing to other DAWs out there. It’s coded by a smaller group of individuals aimed to give us the mere essentials of a DAW without a bunch of features we probably we won’t ever use. You can drag and drop your VST’s and FX, map your MIDI controllers seamlessly, cut, paste, split and edit individual tracks, plug-in support for a majority of creators. This is basically an open-source, nitty-gritty software. 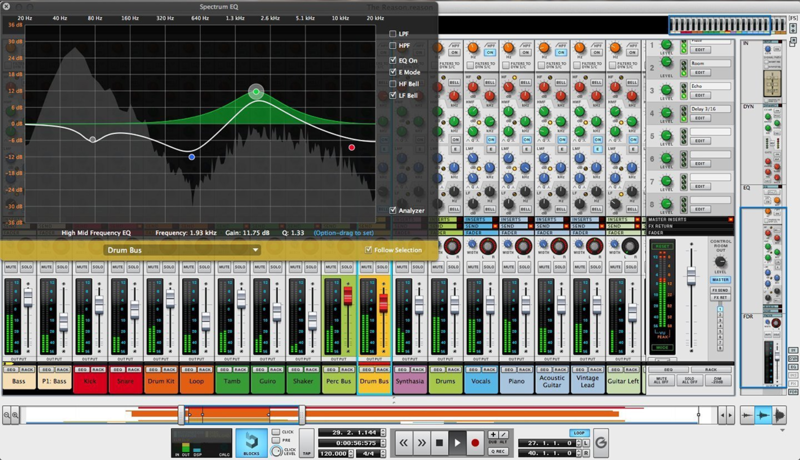 It supports most audio interfaces, plug-ins and effects. When downloading Reaper, you really have nothing to lose since you get to try it for 60 days before buying. If you’re shopping around and serious about your research, we say to give it a go since you get 60 days of full usage for free. Who knows? It may be the DAW for you. 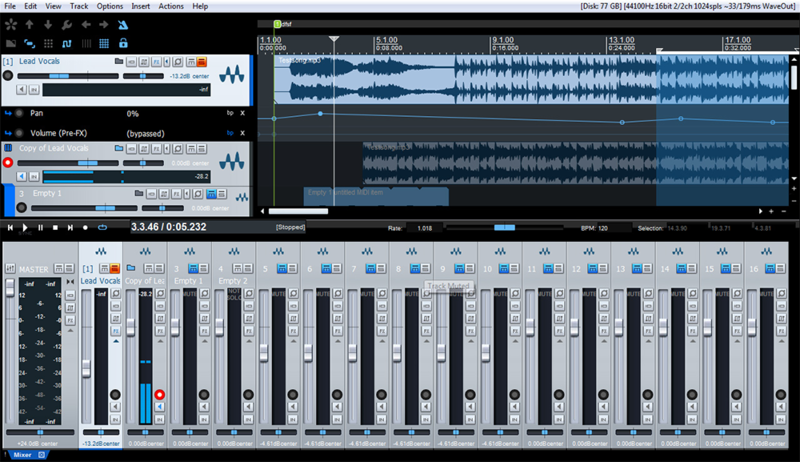 Last but not least, we have the surprisingly stable software by PreSonus. They include Studio One DAW in a lot of their products, such as their AudioBox iTwo audio interface we recently reviewed. This isn’t just a little add-on to products, however — It’s a full on standalone workstation giving you drag-and-drop functionality, unlimited tracks, MIDI, VST, buses and FX channels, as well as mastering integration (not necessarily on Pro Tools level), a Melodyne feature, and some nice reverb effects that sound very smooth (some of the best reverb some have heard). 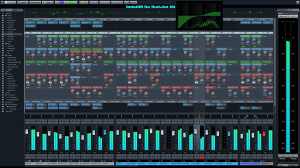 It’s stated to be a bit easier in terms of workflow as compared to more popular DAWs, such as Logic needing a few more extra steps to achieve a certain function you need. The interface isn’t that impressive in terms of aesthetics but I’d take workflow over looks any day — pretty standard.